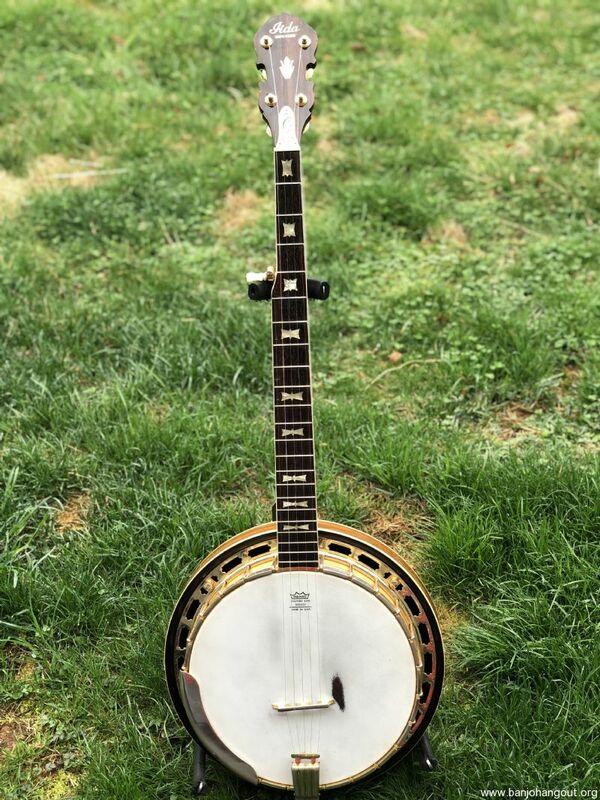 I am the original owner of this Vintage Japanese banjo. It was purchased in 1974 or 1975 and as far as I can tell is a 233 model. All hardware is chrome plated tube and plated construction with some wear and tarnish. 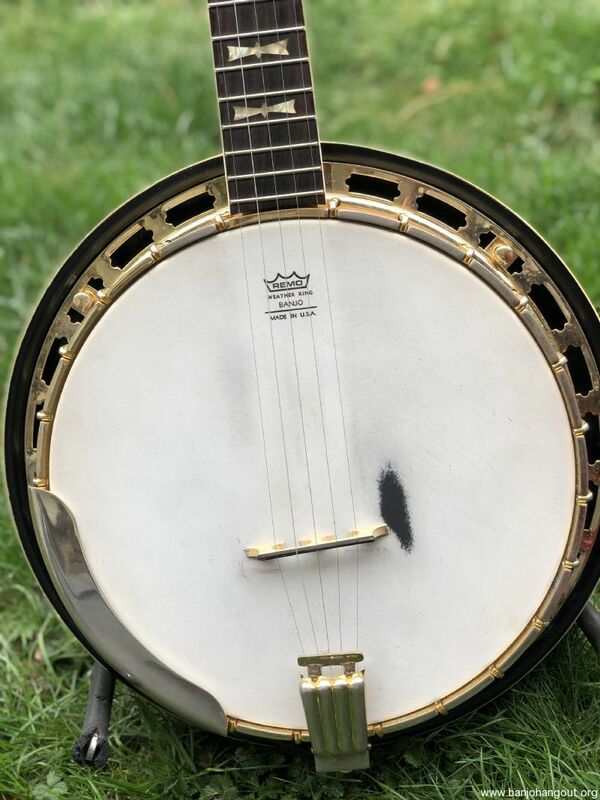 The banjo has dual coordinating rods, a Multi-ply wood rim, cast flathead 20 hole tone ring with a two-part clamshell tailpiece and 24 drumhead hooks. 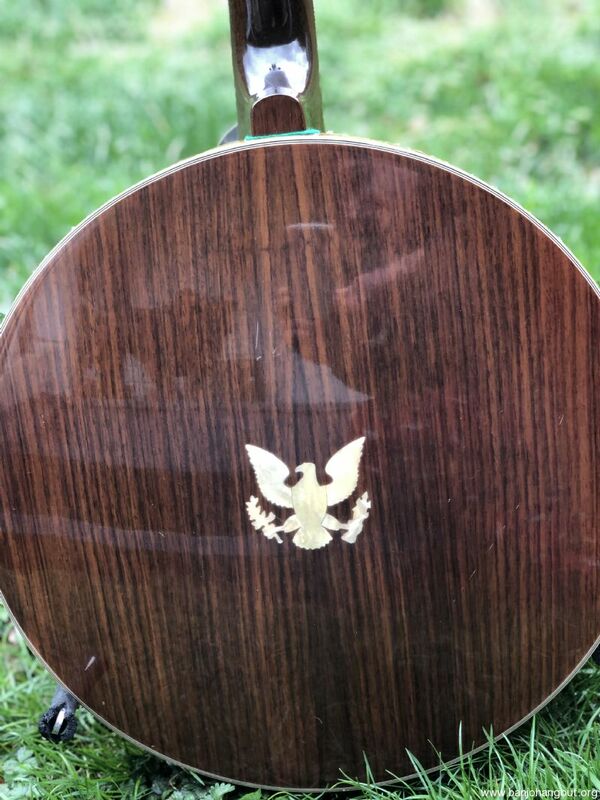 The neck has the Gibson bowtie pattern as shown in the pictures, and the walnut resonator has an eagle inlay on the back. 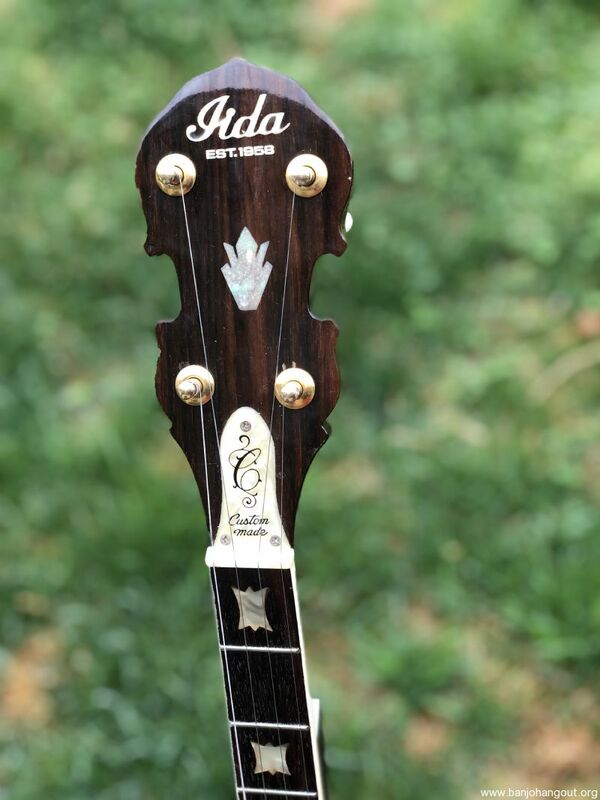 The frets are good with some minor scratches on the back of the neck and two small holes where there was a sliding fifth string capo at one time. There are spikes at the 7, 9, 10 fret. 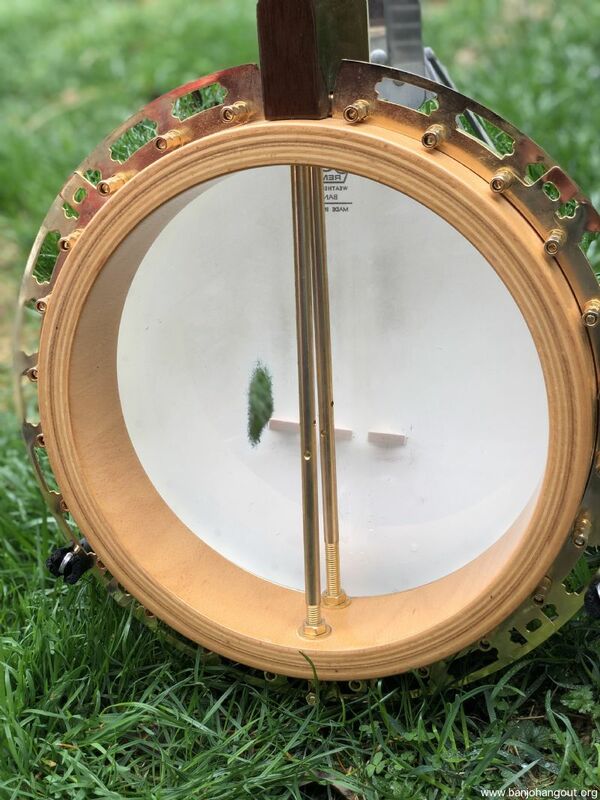 This banjo has a nice loud ringing tone. The case is original and in good condition, with a lock and key. A drum key is included to tighten the head. Including in the price is free packing, insurance, shipping within the US. Contact me with any questions. This ad will automatically expire 6/13/2019 12:00:44 PM unless updated before that date. To keep the system current, ads expire if not updated for more than 60 days.